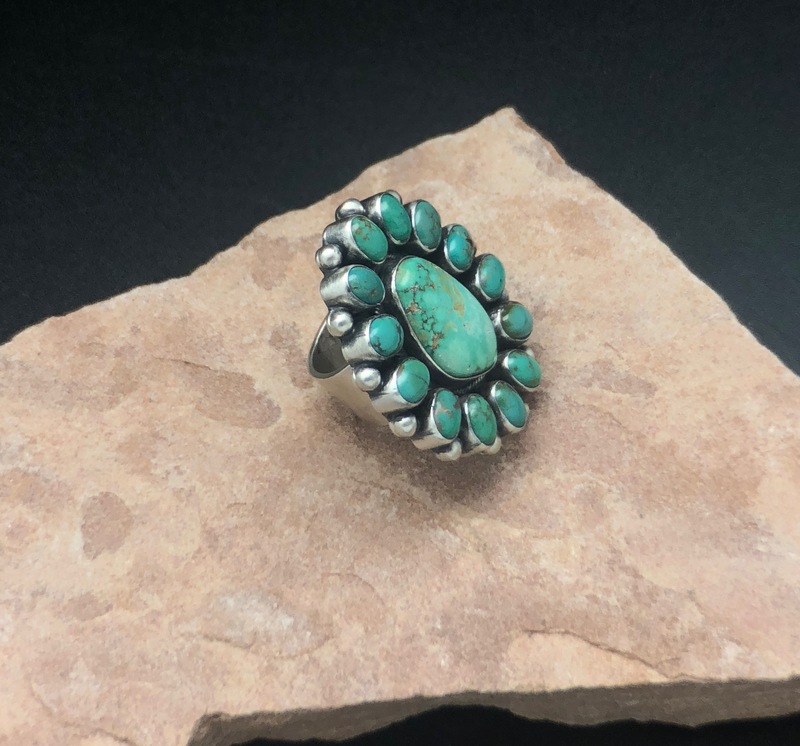 This traditional old style Navajo ring was entirely handmade of solid sterling by Pansey Johnson, Navajo silversmith . 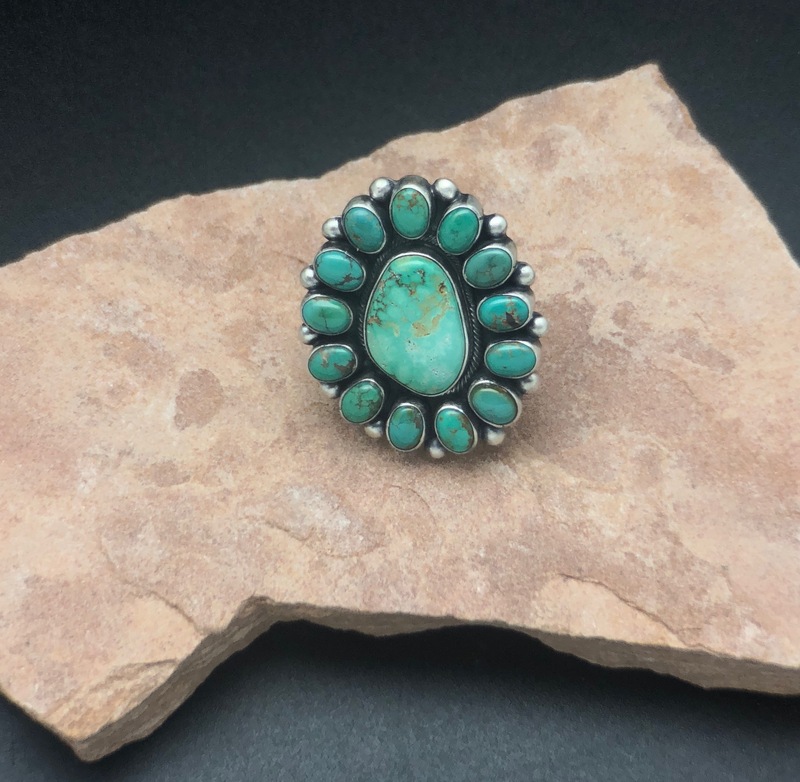 The ring features a single piece of high grade Royston Turquoise from Nevada encircled by 13 smaller oval pieces of high grade Chinese Turquoise . 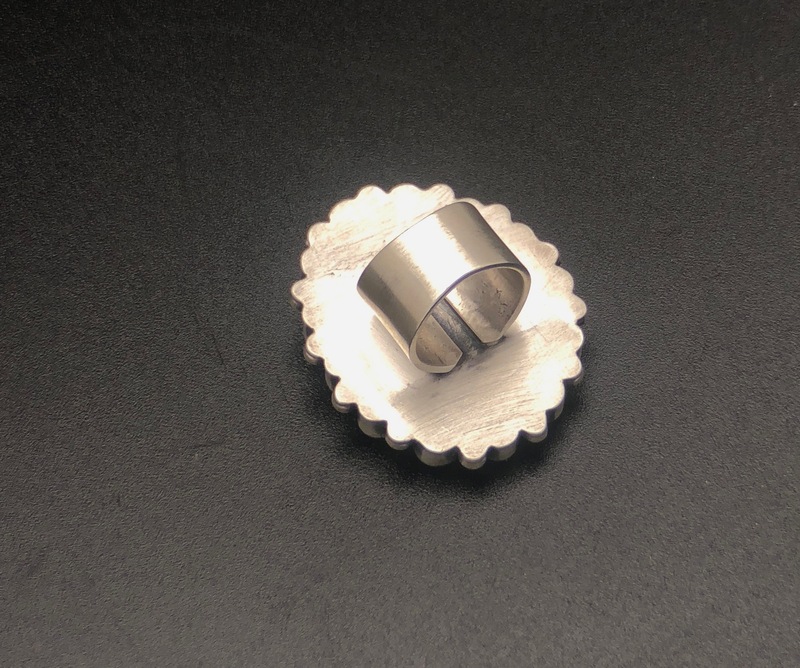 The ring is approximately 1 3/4″ by 1 1/2″ wide. Mounting is a very heavy, the unique cluster style reflects very old style silversmithing. 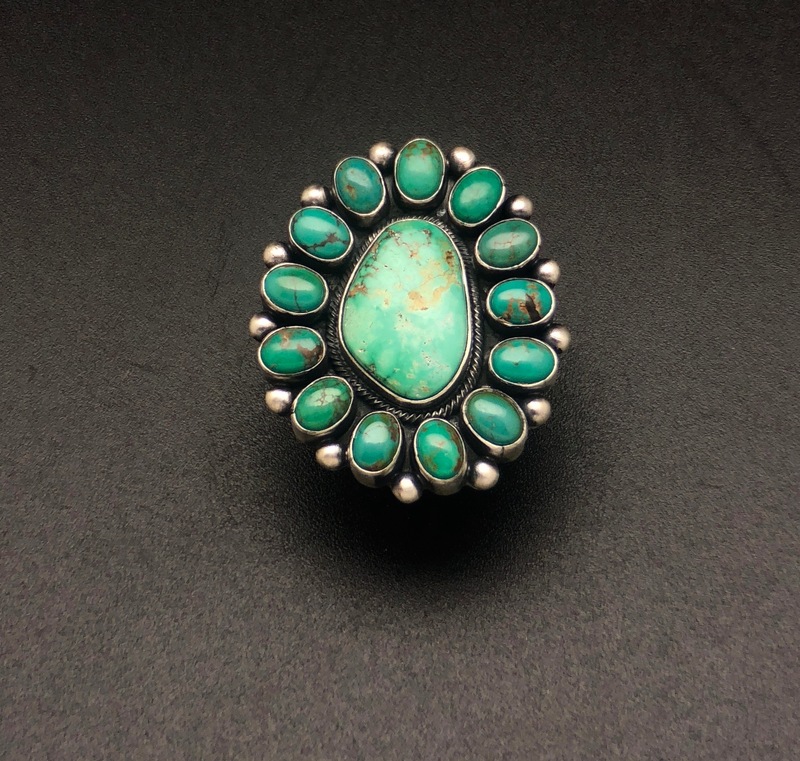 It features hand twisted silver wire set tightly around the center stone. Sterling silver raindrops separate the smaller stones . The shank is entirely handmade from of solid sterling silver sheet hand hammered to set on the stone mounting. This is a true collectors piece that is certain to become a family heirloom.. 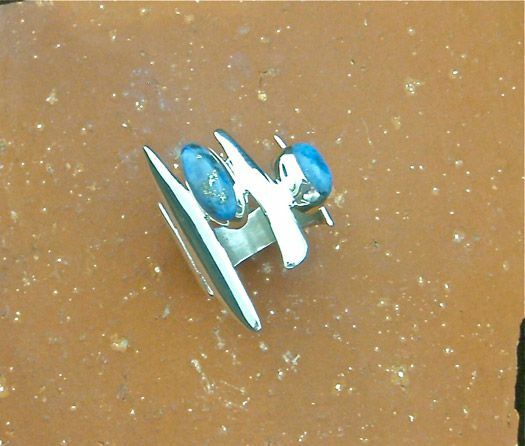 Please take a look at our bracelet and pendant pages for matching pieces. 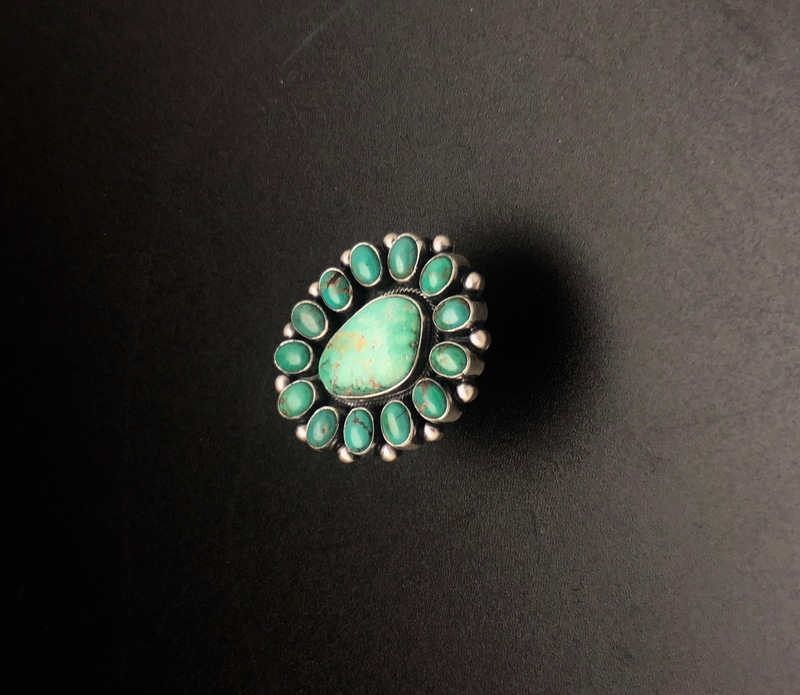 Share the post "SWS 131 NATIVE AMERICAN HANDMADE ORIGINAL ROYSTON TURQUOISE RING"